Under the wonderful and sensitive conducting of Michael Borowitz, the orchestra delivered marvelous unanimity, a sumptuous and appealing sound. Borowitz communicated much of the music’s guileless charm. As conducted by Michael Borowitz, the Contemporary Ensemble was on target throughout the performance, handling the opera’s many shiftings of gears with ease. The orchestra was led from the harpsichord by Michael Borowitz with crispness and imagination. Mr. Borowitz is hitting on all eight cylinders with his first production here, producing a very lyric and moving presentation. Under his impressive and highly musical leadership and assured baton technique the orchestra provides a lush and rapturous underpinning for the opera’s impending march to its tragic conclusion. Conductor Michael Borowitz and members of the Reno Philharmonic, director William Shomos, the cast, crew and folks in charge at Nevada Opera should be proud of another fine effort. Bravo! As the opera’s conductor, Mr. Borowitz has paced the production to perfection, landing on all aspects of the beauty, fizz and musical athleticism of Donizetti’s sparkling score and its bushels of wit with just the right musical flair and comedic touches…Under his direction the Nevada Opera Orchestra and Chorus come off as entirely disciplined and first rate. Michael Borowitz, Nevada Opera’s jack of all trades and master of them all (artistic director, production coordinator, chorusmaster) conducts, and he moves the production with dispatch, a keenly intuitive revelatory nature for recreating Puccini’s luminous orchestral colorations, and an obvious love for the opera’s rich score. The Nevada Opera Orchestra is in top form. The Nevada Opera Chorus is superb and moves and acts with a sense of theater rare for opera choruses. Michael Borowitz led the Nevada Opera’s orchestra and chorus in a lively and bouncy rendition of Franz Lehar’s tuneful score. Presented with sensitive musicality and with loving care to detail and stagecraft by NO artistic director Michael Borowitz, it’s hard to imagine that in its 100 year history Lehar’s masterpiece could have been more gorgeously and entertainingly presented. Certainly Friday’s near-capcity audience thought so, giving what it saw and heard a quick and sincere standing ovation. In a day when standing ovations are passed around freely, this one was for real and earned. Not enough can be said for the Nevada Opera Orchestra and Chorus. Both perform at all times with keen professionalism. Conductor Michael Borowitz had the Boise Philharmonic playing at its joyful best. The orchestra, led by artistic director and conductor Michael Borowitz, sounds full and resonant. Nevada Opera’s artistic director Michael Borowitz conducts Puccini’s intense, lyric score and he does so by playing to the theatricality of the composer’s impeccable timing, suspenseful underscoring and wonderfully expressive arias, loaded as they are with emotion and pathos. …The pirates, cops and damsels Borowitz has encouraged to do their best, do. There isn’t a misstep in the show. In addition to Borowitz and a super cast of troupers, the Nevada Opera Orchestra plays Sullivan’s spritely score with cut-glass sparkle. The Nevada Opera Chorus sings this not-easy music – as do all the principals – with care and assurance. Conductor Michael Borowitz kept the music moving along always at a responsive pace, providing solid support for the singers and leading an effective reading of the instrumental interlude to the final scene. Nevada Opera’s celebration of Mozart… is rich in superb singing, and a sublime musical interpretation by conductor (and artistic director) Michael Borowitz. But the best moments were left to the chorus and orchestra, led by Michael Borowitz, which stirringly belted out Mozart’s odes to reason. Done sans orchestra, Borowitz – dressed as and in the persona of Mozart – accompanied on what looked like an ornate High Renaissance harpsichord. In reality it was a synthesizer which allowed recitatives à la harpsichord and the remainder of the score à la piano. Borowitz’s keyboard work pushed all the right buttons for a seamless evening of glorious music and ribald action. Nevada Opera Artistic Director Michael Borowitz conducts the Nevada Opera Orchestra, which dishes up Rossini’s smorgasbord of tunes in one of the orchestra’s most sparkling gourmet presentations. Borowitz’s timing is impeccable and in lightweight opera moving along is a must. Borowitz also brings great subtlety to his music making which makes the little moments thrilling and the big moments exciting. Conductor and Nevada Opera Artistic Director Michael Borowitz brings passion, restraint and a shrewd theatrical timing to one of Verdi’s most popular scores. The orchestra responds with a lush, impeccable performance. The chorus’s singing is – like splendid champagne – rich and full bodied. Nevada Opera has fared will under the artistic leadership of Michael Borowitz. In spite of a valiant cast, the Borowitz batting average is not enhanced by this misadventure of script – lots of updating, some of it funny, some of it corny, some of it about as sensitive as the Don Imus Show. Most importantly, Kálmán’s soaring, buoyant music claims fervent champions in conductor Michael Borowitz, his excellent orchestra and the enormous cast. Michael Borowitz conducts the production’s orchestra and vocal forces in an unforced, but vibrant manner doing full justice to Humperdinck’s lush score. The musical direction is superbly handled by conductor Michael Borowitz. The Nevada Opera Orchestra dazzles with a score that has dazzled for over a century. Michael Borowitz conducts and keeps the opera’s massive musical forces tightly in control. Aïda is a huge undertaking and much of it is geographically awkward. Borowitz has an unerring instinct for being musically subtle allowing the smaller moments in his performances to ring true, yet theatrical enough to make the opera’s big moments play out with a Cecil B. De Mille flair. NOA’s artistic director and conductor Michael Borowitz has assembled a first-rate cast and crew that keeps Rossini’s buoyant masterpiece floating high, wide and handsome for the opera’s nearly three-hour running time. Borowitz conducts…with energy and flair. Borowitz (he wears two hats in this production) conducts with a sweeping view of the music’s lyricism and emotional power. This is in all ways an exquisitely rendered reading of Puccini’s eloquent score. The Nevada Opera Orchestra is in top form and provides a precise and lush collaboration for singers, and a rich underscoring for the opera’s dramatic action. Impressive, too, was the orchestra under Borowitz’s leadership. The orchestra’s sound was full bodied, no small feat in an outdoor setting. Credit this very fine orchestra for its robust playing. The overtures to “West Side Story” and “Chicago” were lush and had oodles of snap. When music under the stars works, as it did so beautifully Saturday night, it’s a transcendent experience. When given the luminous presentation 42 members of the Reno Philharmonic provided, Tchaikovsky’s superb score is itself a constant source of inspiration. That is especially true when the musical leader is Michael Borowitz, a sensitive dance conductor who knows what dancers need. Under the Borowitz baton, this year’s “Nutcracker” was alive with the sounds of Tchaikovsky’s lush music. 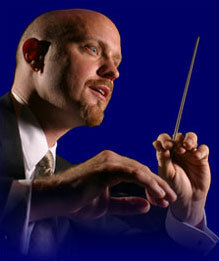 Conductor Michael Borowitz…brought great musicality to the score. His singers, including the Nevada Opera Chorus, responded with unusually precise and affecting singing. The Orchestra played with great attention to detail for a reading of robust vibrancy. Michael Borowitz instills good humor into the playing of his Ohio Light Opera Festival musicians and vocalists. The singers never condescend to the material, the waltzes are played at a healthy clip, the orchestra never lags… this ‘live, onstage’ recording from Ohio Light Opera preserves all the original sweetness and vitality of Herbert’s lovely score. The cast sounds just right for this spoof on the Victorian gothic melodrama… conductor Michael Borowitz obviously loves the score and even gives an encore of the last stanza of the patter trio. All the performances are first class… conductor Michael Borowitz exhibits absolute command over the wit and verve of Sullivan’s unjustly neglected score. Such a jewel of perfection as Patience deserves a perfect jewel of a performance. This is it! …OLO Music Director Michael Borowitz keeps the musical magic in the pit rollicking along.